What is needed for effective ministry from each member of the Worship Ministry Team? In order to glorify the Lord, lead God’s people in worship, and allow the Lord to use your gifts to speak to the hearts of others through His Spirit, you need to apply prayer, passion, preparation, flexibility, clarity, commitment, faithfulness, and authenticity! as a member of a worship ministry team. 1. Pray for your Worship Pastor and for all of your ministerial staff. Pray for their families. 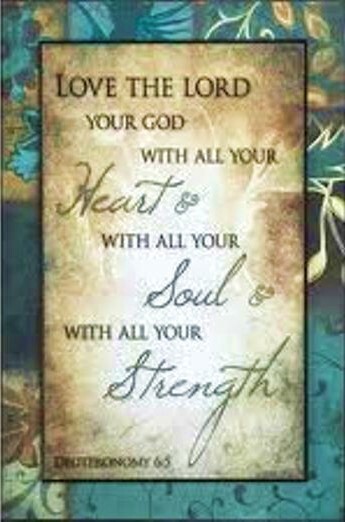 Pray for the congregation at your church (church family) to worship the Lord and serve Him with all of their hearts. Pray for your own testimony and spiritual walk. Pray for other worship ministry team members and for the worship ministry as a whole. Pray through the order of worship, and pray during the worship service. Be real (authentic) with the other members of your worship ministry team. If you are struggling in some area, ask for prayer. 2. 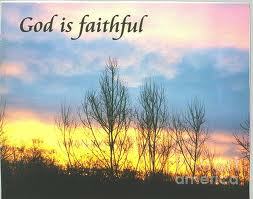 Be faithful in attendance at rehearsals and in every congregational worship service. Unless your are too sick to go or out of town, be there. We all understand that seasons of life occur, such as when you are caring for a loved one who is ill. However, if there’s nothing keeping you from being there, please be faithful! Your passion for the Lord and for serving Him through worship ministry is the thing that makes you a worship team member. Others sit in the congregation every week who could be an asset in worship ministry, and yet the lack of passion for serving in this way prevents them from making that commitment to the calling. If your passion has begun to wane, ask the Lord to revive it within you so that you may contribute week by week, worshipping with passion in spirit and in truth. and reach out to encourage and inspire others. Be aware that many churches are eliminating choirs and orchestras. If you want your church to still have these groups as a regular part of worship ministry leadership a year from now, 5 years from now… 10 years from now, make it your priority to be there! 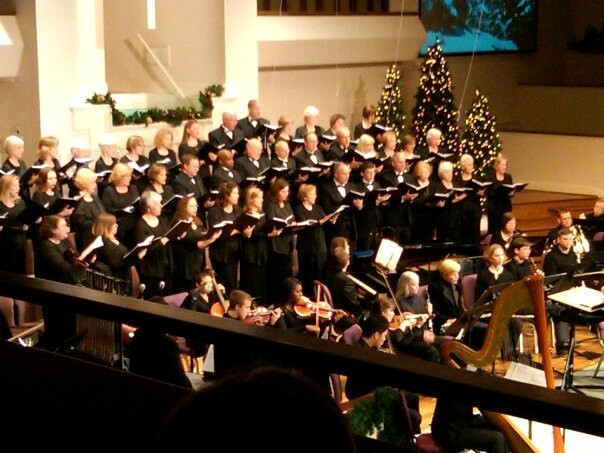 If you say that you love singing in the choir or playing in the orchestra, love having these groups as a contributing part of worship ministry, and love the sound and the impact they can make, you need to be one who will be there faithfully. When the choir and/or orchestra suffers from low attendance week after week, the level of excellence suffers. 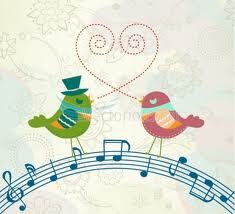 The director has difficulty choosing what to sing or play, not knowing who may be there. The overall sound is less than it could be without you and others there. After weeks and weeks of low attendance and less than stellar sound due to the low numbers, how much support can we expect from church members and leaders for the continuation of choir and orchestra ? In other words, if you want to have a choir and orchestra , you MUST be committed to it. 3. Be spiritually prepared. Do all that you can do to walk closely with the Lord. Abide in Him. Spend time in private worship. 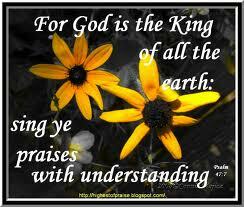 Learn all that you can about Him and about what true worship really is. Listen to worship music often. 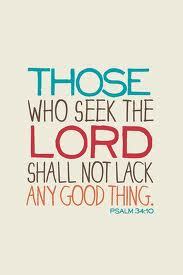 Love the Lord and find joy in His presence. 4. Be musically prepared. Attend every rehearsal that it is possible for you to attend, and be on time if at all possible. It is great to have everyone in place with music ready and instruments and voices warmed up if possible (sing with the radio on the way there!). If that is not possible due to your work schedule or some other factor, please do the very best you can to arrive ASAP. * Even if the choir or orchestra is going to be sharing music that you know well, your presence and participation can help others to learn the music. Having the full group present helps with things like balance, interpretation, and choral tone, as well as with division of parts, marking any changes in the music, and unifying vowel structure. * If your director sends out an e-mail with links to the music you will be singing, spend 15 minutes listening to the demos a couple of times during the week. * With new technology have come new tools for worship ministry. We can listen to demos on our computer and do so almost anywhere with wireless technology. We can look up sample pages to a choral anthem and even be able to see the music as we listen to a demo. 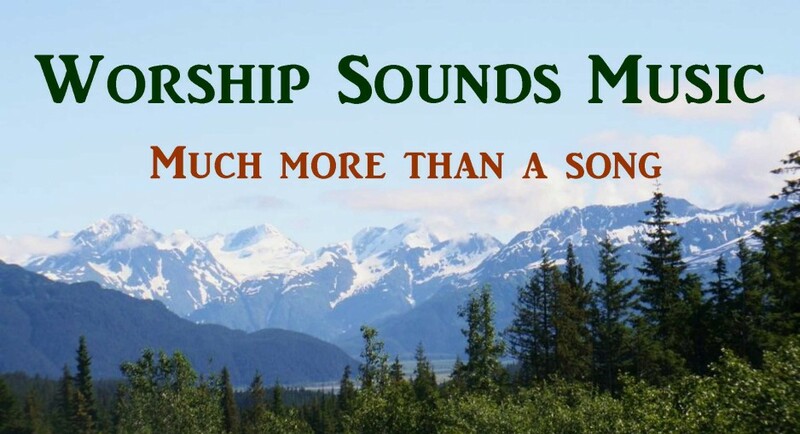 We can hear several different versions of the same worship song at ccli.com or other sites. Many worship teams have their own website, facebook page, or blog to keep everyone informed. Sometimes e-mails are sent to worship team members with listening links. There are worship conferences, worship blogs, and “how to play” videos online. All of this means that we have more resources available than ever (and fewer excuses for being unprepared). * For choir members: If you know there’s a part that you’re not getting during rehearsal, speak up and ask the director for help. Often, as your section (Altos, Sopranos, Basses, or Tenors) sings through a passage a couple of times, the re-inforcement of hearing your part played will help everyone. If you have a piano and can play a tricky part yourself, take your music home to spend some time working on those hard to hear parts. * For orchestra, praise band, or praise team members: If there is anything that you struggle with in rehearsal and are not confident about, spend some time working on your own before Sunday. Speak up if something sounds “off” in rehearsal, even though it appears everyone is playing (or singing) what is written. Sometimes you may help to find a mistake in the music. Remember that what we are doing is very important and sometimes very difficult. Patience is required in order to work up an entire “worship set” of music for congregational worship each week, often with very limited rehearsal time. 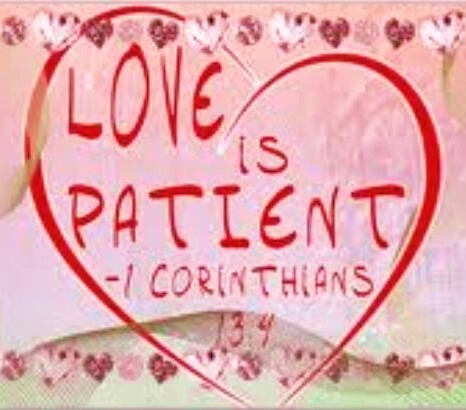 We must all be as diligent as possible and patient with each other and with ourselves. We are confronted with our own humanity when preparing music; and there is no better time to thank God for His patience and grace with us, even as we choose to employ patience and grace with others (and with situations that are out of our control). You may be doing all that you can do and wish that others took their opportunity to serve as seriously. However, we always need to remember that we never know what others are facing and the challenges that may keep them from being as faithful or as prepared as they would like to be. We just need to pray for one another and employ a lot of grace, continue to be faithful, and encourage others as much as possible. 5. Remember that every Sunday’s worship is important. The special programs can be a wonderful time of worship, but every Sunday needs to be just as important. He deserves our best every week! Give Him your best (in terms of commitment, passion, faithfulness, and effort). Make it a priority to be there, be prepared, pray through the service as you worship, and do your best to bring glory to the Lord in every service of congregational worship that you are able to attend. Pay attention when your director goes through the order of worship for next Sunday’s service during rehearsal. You can help with leading in worship most effectively when you are able to share with clarity because you know what is going on. 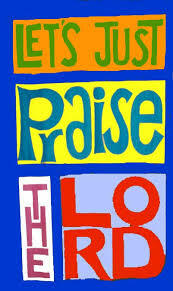 reasons to make musical praise! 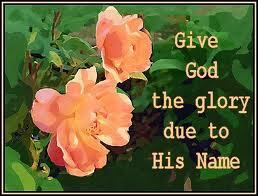 “Oh, that men would praise the Lord for His goodness, and for his wonderful works to the children of men! 6. Support the worship ministry through your own giving. You can give financially as well as giving of your time for rehearsals, personal prayer time, and worship times. You can give and redeem your time in worship ministry when help is needed in preparation for a special program, ministry opportunity, or mission trip. You can give time to working with worship ministry groups for children and youth, investing in the lives of these future worshippers and worship leaders. 7. Be well groomed. Here, I am not talking about the cost or name brands of your clothing. Just make sure that your appearance is well-groomed and not distracting. (Well-fitting clothing and well-groomed hair are a must.) Your own worship ministry may have additional requirements for appearance that are more specific. 8. Invite others to come to know the Lord, to come to church, and to attend services and special programs. Encourage the faithfulness of others through your own faithfulness (which is a silent witness) and through verbal encouragement, letting them know that you are glad to see them and that their presence is important. 9. Invite others to participate in approriate areas of worship ministry when you know that they have the special gifts to contribute both spiritually and musically. Take some time to talk with them about the blessings of serving in worship ministry and how much it means to you. When new members come, welcome them! Don’t be stuck in a rut as far as who you have to sit beside. Make sure the new member feels comfortable. 10. Don’t fossilize! Be flexible and open to change when it is needed. * If a change in schedule (such as letting the choir leave the loft to sit with families after the musical worship portion or your service is over) allows more people to participate, be open to that change. This would include changes in rehearsal schedule. If you have an unavoidable conflict, let your Worship Leader, Director, or Music and Worship Minister / Pastor know as soon as possible. When you know that you will be out of town, please let them know your schedule. Advance notice of absences allows for better planning. * When new music is introduced, be open to it. You will likely grow to love it! 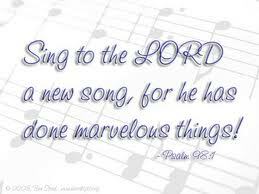 Even if a song is not your favorite, worship the Lord as you sing and/or play it! Be open to new styles and new musical techniques as well. It’s always a good thing to keep learning and growing as a musician and as a member of the worship leadership team. * Be open to wearing robes or not wearing robes (depending upon what works best for all of the considerations at your church). You may be asked to wear a certain color. Please help your group to follow worship ministry leadership in this area by cooperating fully. * Be willing to sit or stand anywhere that you are asked to be, in both the worship center and in the rehearsal room (unless you need to be seated for physical reasons). * Be willing to let go of traditions and procedural routines that may no longer be effective. 11. Communicate visually as well as musically. Remember that only part of your worship team’s presentation of any song or participation in worship is the sound component of ministry. The other component that can be observed is visual. * In order for the messages that you are proclaiming to be as effective as possible, choir members, praise team members, and others who sing need to communicate through their facial expression and posture as well. Even those who play instruments need to support the message of what is being shared through appropriate facial expression and/or posture. People want to know that you are authentic in your beliefs and that you are passionate about your beliefs and your relationship with the Lord… passionate about Him! Your face should reflect the message that you are singing or playing (especially for non-wind players). Your posture should not look stiff and formal. * If you are holding a music folder or looking at music on a stand, hold it high enough (or adjust your stand) so that you can see your director just over the top of the music. Get your head and your eyes up as much as possible. No one wants to look at the tops of everyone’s heads or at a platform full of worship ministry personnel whose eyes appear to be closed because they are looking down all of the time. 12. Participate and worship in the entirety of the congregational worship experience. Remember that you are not there just to “perform” a “special” piece of music. You are there to worship! You are a believer and follower of the Lord Jesus Christ and and worshipper of Almighty God! Every song, scripture reading, testimony, and message is important! Seek to bring glory to God in all of it. Come to worship ready to give to the Lord the praise and thanksgiving of your heart, the honor and glory He deserves, the obedience and open-ness that are a sweet offering to Him, and the entirety of who you are. Seek His face and reflect His joy. 1. Our Worship Scripture page is a very comprehensive worship resource, with scriptures from both the Old and New Testaments in Biblical order. Our bold key words before the beginning of each scripture make it easy to search and find particular passages. This is an excellent resource for worship scriptures. Also, try the key word or topical search features at Bible Hub or Bible Gateway. OUR OTHER POSTS ABOUT WORSHIP: (Our pages, like the one on Lifestyle Worship, have titles that are always visible on the blog header. Our posts are categorized, and all of the posts on worship can be found in our category called “Worship…with Wonder!” (and the sub-categories in that topic). 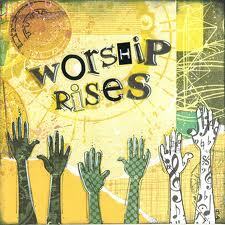 Here are links to 7 of our most widely read posts about worship.